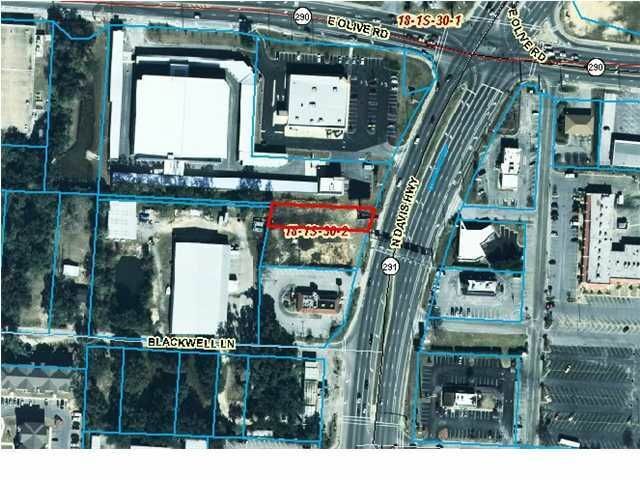 REO-This is actually two adjoining parcels 8000 & 8041 that make almost one acre on North Davis Highway inbetween the West Florida University Hospital and I-10. This was originally intended to be a car wash, and the plans and engineering for that are still available. However, this parcel may be a good spot for a fast food restaurant or gas station as well.